You don’t just start with painting. 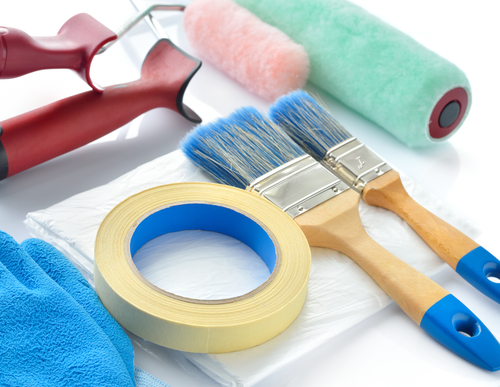 Before you pick the paint and roller, you need to have done a lot of preparation (cleaning). First, for the new paint to adhere, the surface must be cleared off all the dirt, chalky and mildew residues. If this is not done, the paint will peel off within a very short time. Use of cleaning spray would remove some of the dust but hand scrubbing would do the best. Use the hammer to remove or drive in nails for a smooth surface. You will also need to fill the holes on the wall with a filling material. You also need to cover the floor from paint spillage. These are two important tools and you need both for effective painting. The roller will work very well when painting large surface such as the walls. The brush will work the best for painting smaller areas, narrow surfaces and the edges. A good example where you will need a brush is the painting of windows frames. You must also be very careful with the quality of brushes and rollers that you are using. If there is something that differentiates pros and the armature painters are the lap marks. These are ugly stripes that appear on the wall and are most caused by a buildup of paint layers. It requires skills and experience to avoid these marks. One the main reason why these strips may appear on the wall is a result of rolling dry paints. Make sure that you have maintained a wedge by having each roller stroke overlapping the prior stroke before the paint starts drying. It is also important to run the roller a full length or entire wall's height for each stroke. Also, make sure that you have moved backward to even out any thick spot. It is great house painting tips. Have you ever used one point color but realize that there is a slight difference? This is likely to happen, particularly if you are using different brands. Different cans may have a slight brightness of the color and this is what causes inconsistencies. One way that you can easily solve this problem is by mixing several can paints in a giant bucket so that you can get one uniform color. 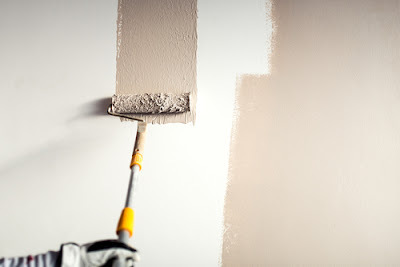 This is a great trick particularly if you are painting a large wall in one color. Use of one can at a time is likely to produce inconsistencies. Make sure that all cans are emptied in a giant bucket, mix it properly and then go ahead with your painting. It is among the most ignored house painting tips. One of the many mistakes that painters make, especially the armatures is cutting the tape when the paint is still dry. This is the reason why you will find patches in the where the tape has just been removed. You need to take some time to allow the paint to dry so that you can cut off the tape and not pulling off as it is with many people. Wait for at least 24 hours for the paint to dry completely and then use a knife (sharp) to cutter the tape. Make sure that you pull the tape up an angle of 45 degrees to ensure that you are not destroying. If you observe a pro painting, they have a certain order that they follow. You don’t just start from anywhere and expect to produce excellent results. The best order is to start with trim, then the ceiling and then finish with the ceiling. Why is this order the best? It makes it easier to tape off the trim than it is with the wall. Working this order, you will not have to tape both the wall and the trim and thus there will fewer damages while pulling the tape off. Starting with the trim also makes it easy to paint without worrying if the wall is getting the paint. 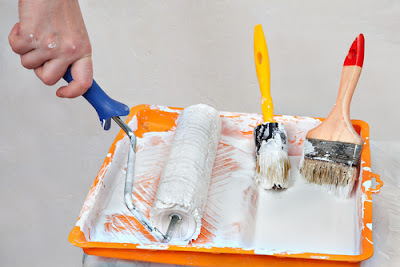 If any paint gets on the wall, it will be covered while painting the walls. For the painted surface to pull out a great appearance, the wall must also be clean. If you are painting a bright color such as while it will be necessary to wipe the wall clean. A greasy surface will not only make the wall appear dull but also the paint peels off easily. You should start with cleaning all the grimy areas with a heavy-duty cleaner or a deglosser that are purposely meant for prepaint cleaning. These cleaning materials not only clean the surface but also help in improving the adhesiveness of the new paint. Some areas that are notorious with greasy or the oily patches are the kitchens and bathrooms. If you are painting a fresh wall, you will realize that it often appear blotchy. The color may be in uniform but still, the sheen appears inconsistent. The main cause is usually the holes or cracks on the wall that had been filled. The filler is the one that absorbs the paint making the surface to appear dull. The surface may also appear bump and this will not appeal. The ideal way to deal with such surface is by the used primer. By just running a coat of primer will eliminate all patches and make the surface look as smooth as you would like it to be. It works by sealing the patch to prevent the paint from sinking in. These are the key tips on how to paint like a pro. They are very simple to follow, but some are mostly ignored by armature painters. Follow these home painting tips keenly and will be pleased by the results.